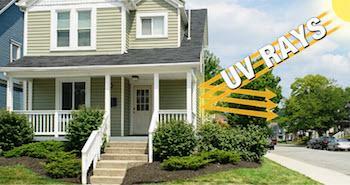 Let’s take a closer look at why Rhino Shield ceramic coating has become a popular painting option for homes, commercial properti, s and industrial buildings in Lemoyne, Harrisburg, Hershey, and the surrounding areas. The secret to the Rhino Shield® System lies in the use of ceramic microspheres which replace the inexpensive fillers found in products used by most exterior house painters. 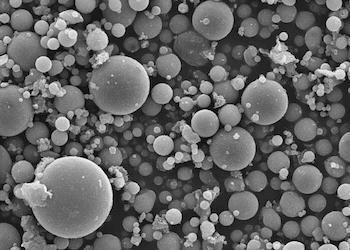 These variable size ceramic microspheres packed tightly together have pockets of air forming a protective insulation barrier that provides an insulating barrier for your walls against heat, UV rays, & coating breakdown. By reflecting radiant energy, Rhino Shield® keeps the heat outside and the cool air inside. Solar radiation from the sun’s intense rays can significantly raise a wall’s surface temperature. Our ceramic system reflects solar rays away from your home lowering wall surface temperature thus cooling your home and reducing energy consumption. This is something no other exterior house painters can offer. 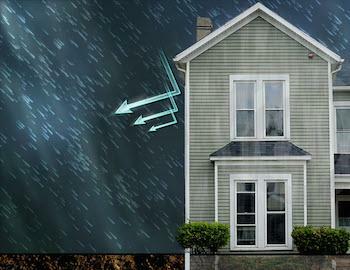 Water is the #1 cause of building wall deterioration and damage. The Rhino Shield System seals to the surface and helps prevent water penetration when installed by our certified exterior house painters. Rhino Shield exceeds Federal Wind-Driven Rain Specification (TT-C-555B) at 98 miles per hour. Rhino Shield also uses a proprietary EPA-registered 3-part mold, mildew, fungus, and algae additive! While waterproofing is crucial, so is breathability. Trapped water and condensation in non-permeable coatings are the leading causes of coating failure and also contribute to mold and mildew growth. Pores in the Rhino Shield ceramic coating repel water while allowing water vapor to escape. To learn more about the features and benefits of Rhino Shield ceramic coating, contact Valley Coatings, LLC today to schedule your free on-site consultation! We proudly serve York, Carlisle, Mechanicsburg, Upper Darby, Cherry Hill, Levittown, Reading, and nearby!